This session will cover recent developments in the area of contentious estate litigation. 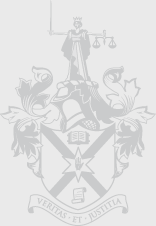 During 2016 there were two significant decisions of The Honourable Mr Justice Horner on the burden of costs in contentious probate which no probate practitioner can afford to ignore - in the Estate of Brian Mackenzie and Watton and Watton v Crawford. This seminar will discuss these along with the Supreme Court hearing it’s first family provision case, on the able-bodied adult child applicant in December 2016. The session will be delivered by Sheena Grattan BL. Sheena is a practising Chancery barrister in Northern Ireland specialising in private client work. Previously she was a senior lecturer in the Law School of Queen's University, Belfast lecturing in Equity (including Trusts), Land Law, Inheritance and the Law and Revenue Law. Sheena started her career as a solicitor in private practice. She is the author of several legal texts including Succession Law in Northern Ireland (SLS), and, with James Kessler QC, Drafting Trusts & Will Trusts in Northern Ireland (Bloomsbury). She is a founding member of the STEP: Northern Ireland branch and in 2012 was the recipient of a STEP Founder's award for outstanding achievement. She has been an examiner and tutor for both the Administration of Trusts and Administration of Estates components of the STEP/CLT Diploma programme in Northern Ireland since its inception.